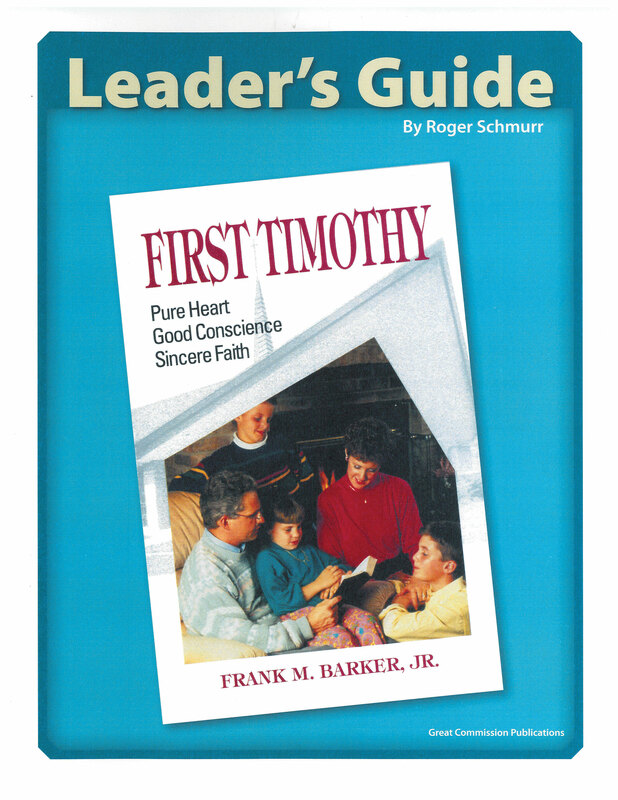 The First Timothy Leader's Guide equips leaders to take adults through Frank M. Barker Jr.'s First Timothy book. 13 chapters that correspond to the book with study notes and discussion questions. 88 pages. 1997 © Great Commission Publications.